Hi there! 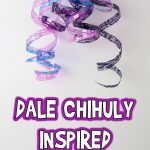 Today I’m sharing one of my favorite elementary age art projects. 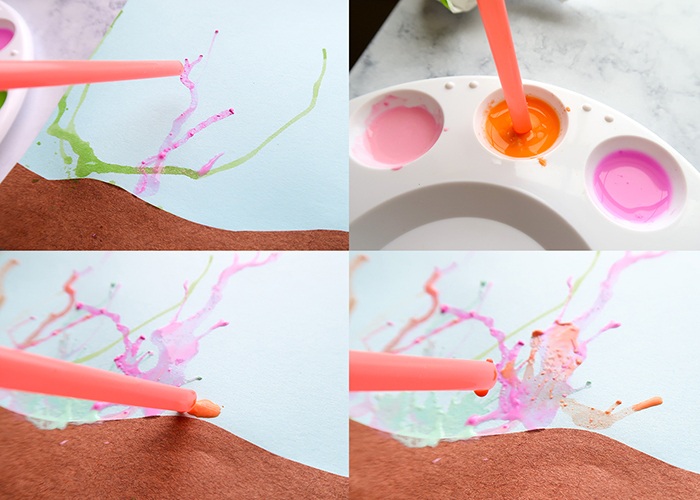 This is called blow painting, or straw painting, and it’s such a fun way to switch up your typical painting time. 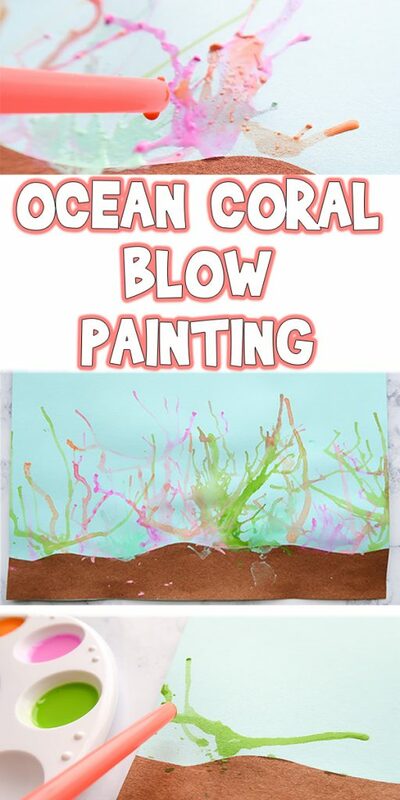 I’ll be showing you how to make a Ocean Coral Blow Painting, but you can use this technique to make crazy hair, animal fur, or just unique abstract art. Here’s what you’ll need. Paper. Blue and tan or brown for an ocean. 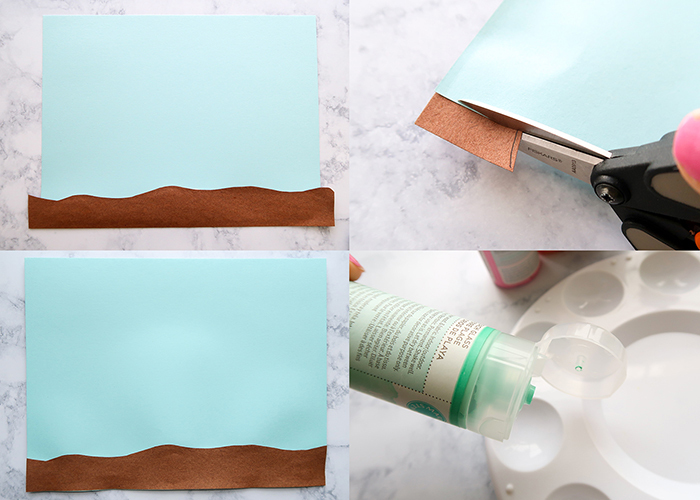 You can use card stock, construction paper, or any heavier weight paper. Paint. 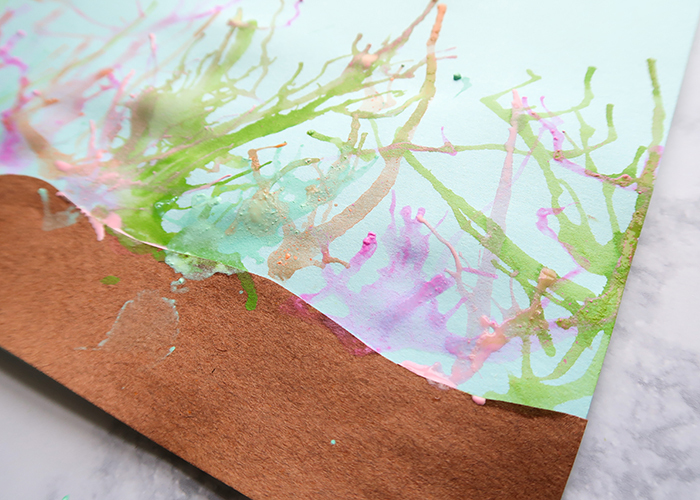 You can use watercolor craft paint, acrylic paint, kids washable paint, or liquid watercolors. A straw. You can cut the straw shorter so the kids don’t need to blow as hard. 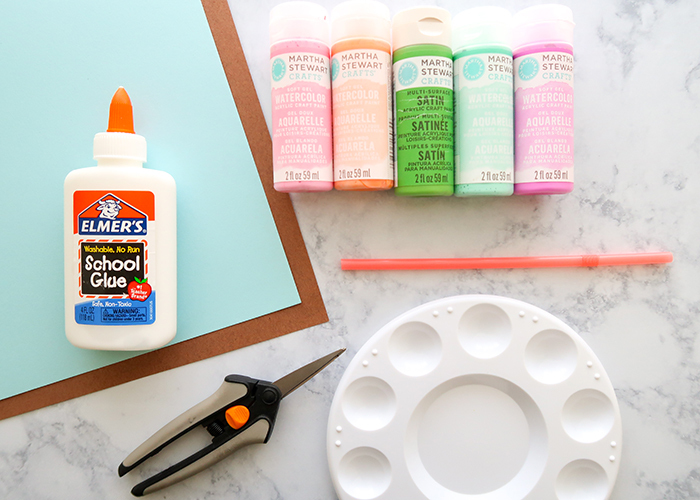 School glue for layering the papers. Take your blue paper and lay it down horizontally on a paint-safe surface. There will be dripping and splashing paint, so make sure to do this on a non-staining, easily wipeable surface. 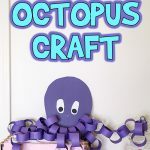 Now take your brown paper, and about an inch or two above the bottom, draw a squiggly line all the way across to create the ocean floor. Cut it out with your scissors. Cover it with school glue. Flip it over, line it up on the bottom of your blue paper, and press it in place. While it’s drying, weigh it down with an old book or your paint bottles so the paper doesn’t curl. 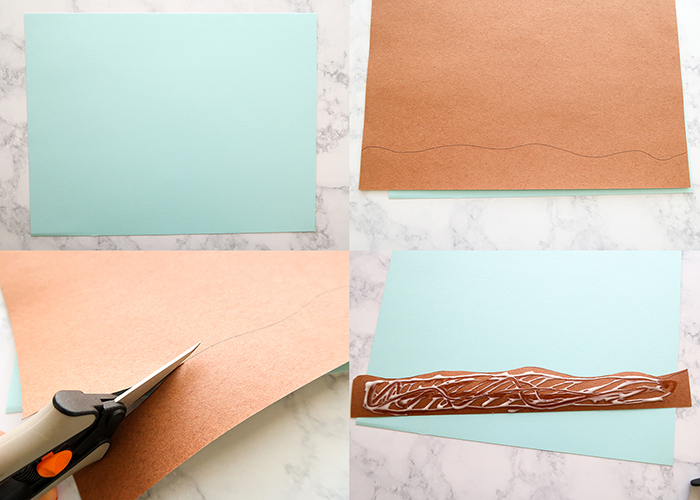 When it’s dry, if you have any overhang on the edges, flip your paper over and trim off the excess. 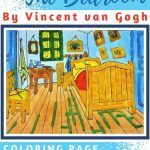 Now go ahead and place a drop of each of your paint colors in your palette. Try and use a good variety of colors, since there are so many colors found in the ocean. 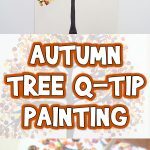 Start adding drops of water to your paint. I ended up adding about 5 drops of water to each of my paints to create a nice thin paint to work with. 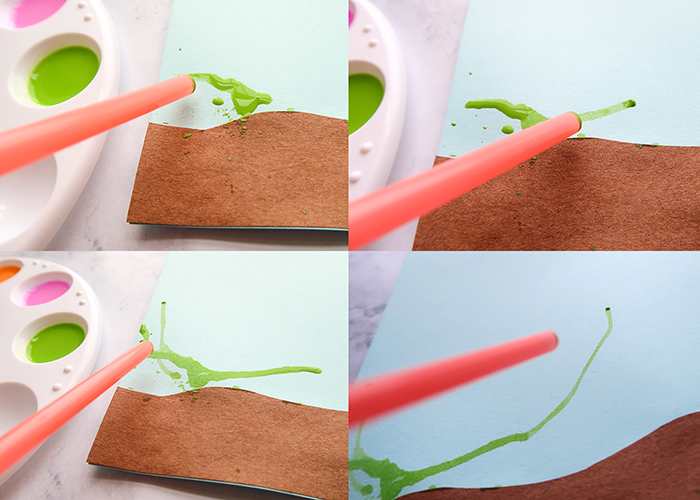 Using the end of your straw, dip it in the paint. Tap the end of the straw on your paper where you want your coral to start. Now you gently blow through the other end of the straw. I recommend holding the straw at a low angle so the paint goes out in one direction rather than splattering. However, try all different ways of holding the straw so you can see the different effects that different angles and directions give. 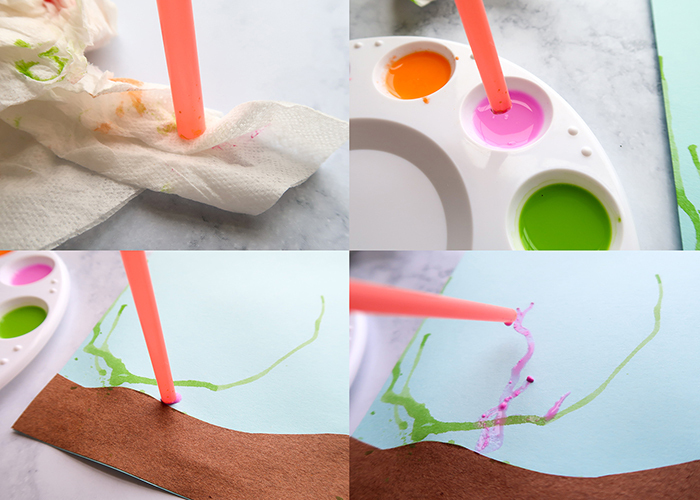 Between each color, make sure to wipe off the tip of your straw. 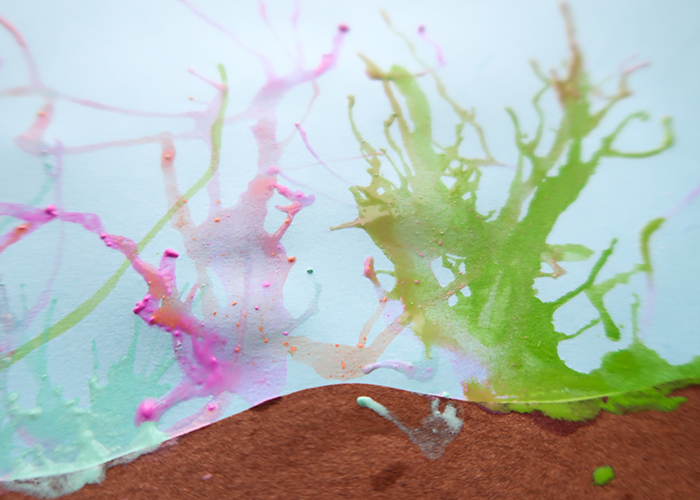 Now if you’re using watercolors, you might have some chunks in your paint. That’s just fine! Coral has bumps naturally, and those chunks of paint will dry down into cool bumps. 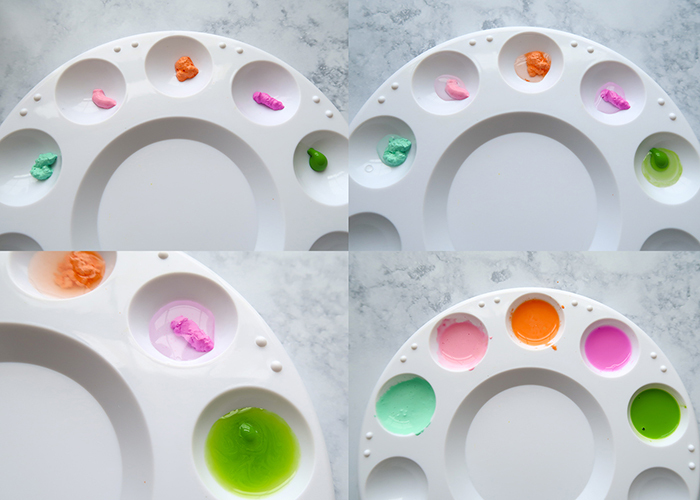 If you want your colors to mix, add your next color of paint while the first one is still wet. 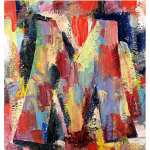 If you want more vibrant, separated colors, then let each piece of coral dry before adding the next. Go ahead and cover your paper all the way across with coral. I love how the paint like to go straight up the side of the paper. You’re all done! 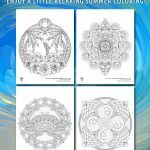 Let it dry, and you can even draw or cut and paste little fish into your coral painting to make a full underwater scene. 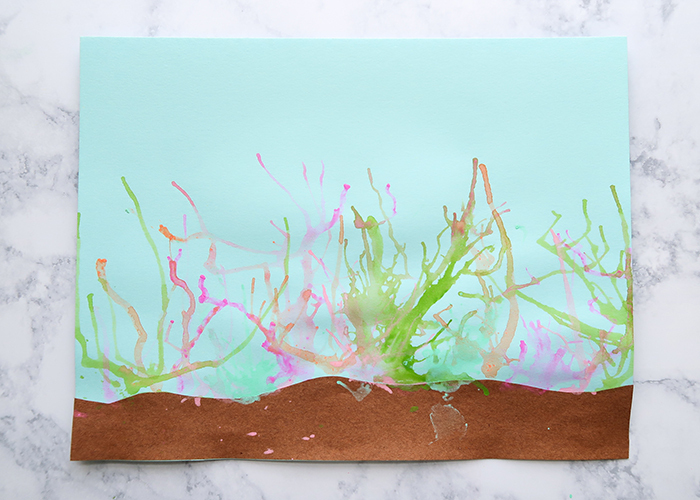 Thanks for learning how to make this Ocean Coral Blow Painting with me!